1 YRS Ruian Tplast Machine Co., Ltd.
3. Q: How dose your factory do regarding quality control9 A: We have a special QC department in charge of product's quality. 5. Q: What's the main market of your company9 A: we have customers all over the world. 7. 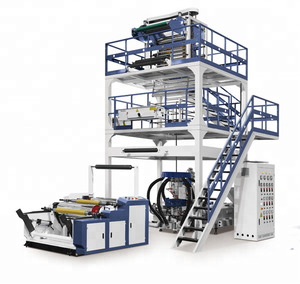 Q: Can we visit your machine operation in your factory9 A: We have own plastic making company, you can see the machine operation. 2 YRS Ruian Songshan Machinery Co., Ltd.
Professional Machinery Manufacture HDPE/LDPE Plastic Blowing Film Machine for Shopping Bags Banner Songshan PE FILM BLOWING MACHINE The Film blowing machine is used to blow the plastic films like LDPE (low density polyethylene), HDPE (high density polyethylene) and LLDPE (linear low density polyethylene) into bubble film. Its products are widely used to pack fruit, food, clothes, textile, like garbage bags and vest/T-shirt bags, shopping bags and daily necessities and other industrial products. Compared with kindred equipment, it has the advantages such as more compact structure, higher output, better produce quality, less energy consumption, easier operation. 10 YRS Wenzhou Aoxiang Packaging Machinery Co., Ltd.
2.The film is widely used for packing bag,such as T-shirt bag, shopping bag, clothing bag, garbage bag and agriculture covering film etc. Specification: Usage: 1.It is used for blowing the plastic film of low density polyethylene(LDPE), high density polythylene(HDPE)and linear low density polyethylene(LLDPE) etc. 2.The film is widely used for packing bag,such as T-shirt bag,shopping bag,clothing bag,garbage bag and agriculture covering film etc Specification: Model No. 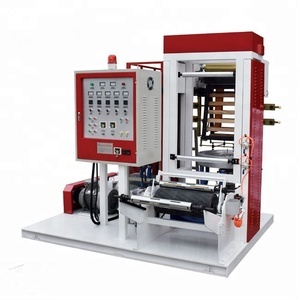 8 YRS Rui'an Zhonglong Plastic Machinery Co., Ltd.
2 YRS Wenzhou Haixin Machinery Co., Ltd.
2.Our machines use famous brand parts and test every part of the machine in the process of production. 3.Our engineers can install machines for you, and we can also train your employees until they can operate the machine independently. Of course, you can learn and install in our factory 4.We can provide a warranty of 14 months. 3 YRS Zhejiang Lifeng Machinery Co., Ltd. The Group fully absorb high-end talent from around the world, the company's technical innovation and industrial upgrading has laid a solid foundation. Q3: Which industries are widely used in of your machine9 A3 : Those are mainly used in making plastic bags and labels in the maket. Q8:What about the service after sale9 A8 : One you have bought our machine, you can call us or email us telling us the machine problems and any questions about the machines. 1 YRS Weifang JinXiuCheng Machinery Co., Ltd.
3 YRS Ruian Songsheng Machinery Co., Ltd.
13 YRS Donglong Plastic Machinery Co., Ltd.
2.MAIN PARTS LIKE DIE HEAD AND SCREW AND AIR RING, MACHINED IN CNC EQUIPMENT. BESIDES, WE WILL LAOD MACHINES ONE BY ONE CAREFULLY. WE HAVE OUR MACHINE ENGINEER TEAM AND OVERSEAS SERVICE AVAILABLE. 14 YRS Ruian Xintai Printing Machinery Co., Ltd.
6 YRS Wenzhou Jiamao Machinery Co., Ltd.
3 YRS Zhejiang Baihao Machinery Co., Ltd. It is used in produc tion of biaxially orientation co-extruding barrier shrink film, special in production of casing, shrink bag. The line adopt s three bubble process to produce shrink film with high strength, good transparent, strong barrier propert ies . established in 2004, is a specialized supplier of packing materials, packing machinery, plastic processing equipments and other materials. 5 YRS Ruian Bonada Machinery Co., Ltd. The screw and material barrel adopt 38 chrome- molybdenum aluminum which has been nitrogen treated and the traction frame adopts lifting type. 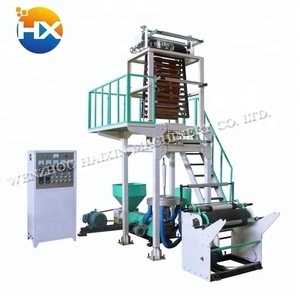 2- Auto loader, When the material finished in the hopper, no need to put the material manually, the device will feed the material automatically. 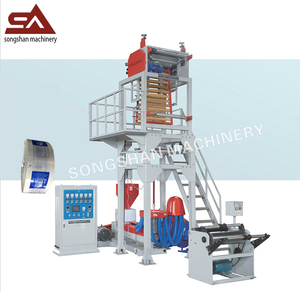 3- Corona Treater If you need to print on the film, it can be used for treating the film surface. 2 YRS Rui'an Wanxin Packaging Machinery Co., Ltd.
9 YRS Ruian Queensense Machine Co., Ltd.
11 YRS Ruian Hongguang Machinery Co., Ltd.
3 YRS Laiwu Brave Bull Plastic Machinery Co., Ltd.
5 YRS Laiwu Huaya Polymer Sci.&Tech. 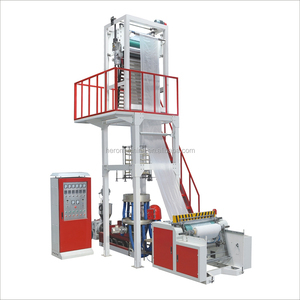 Co., Ltd.
Alibaba.com offers 8,552 ldpe hdpe film blowing machine products. About 86% of these are plastic blowing machines, 6% are plastic extruders, and 1% are other plastic & rubber machinery. 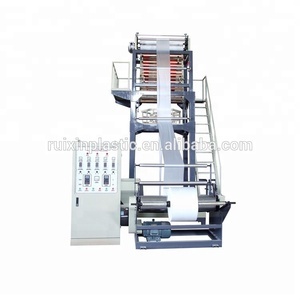 A wide variety of ldpe hdpe film blowing machine options are available to you, such as free samples, paid samples. There are 8,552 ldpe hdpe film blowing machine suppliers, mainly located in Asia. 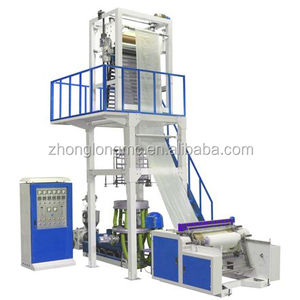 The top supplying country is China (Mainland), which supply 100% of ldpe hdpe film blowing machine respectively. 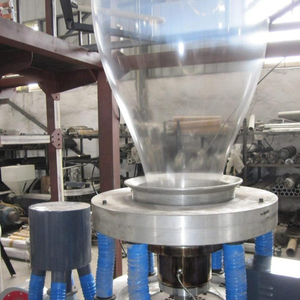 Ldpe hdpe film blowing machine products are most popular in Mid East, Domestic Market, and Africa. You can ensure product safety by selecting from certified suppliers, including 1,233 with ISO9001, 909 with Other, and 6 with ISO/TS16949 certification.